Similar to our smelting trip earlier in the year, this trip was equal parts about foraging and adventurous celebration. 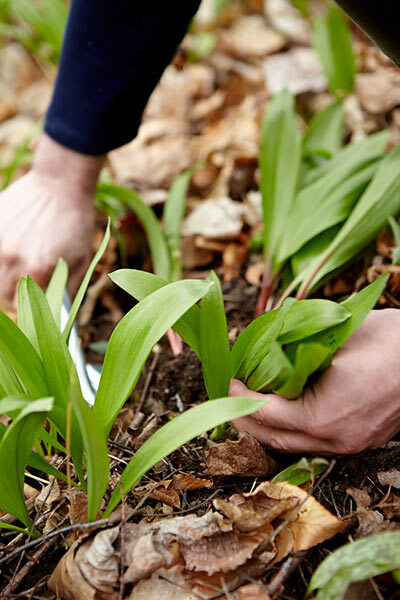 A ramp is essentially a wild leek and there are spots throughout New England where they are especially plentiful. 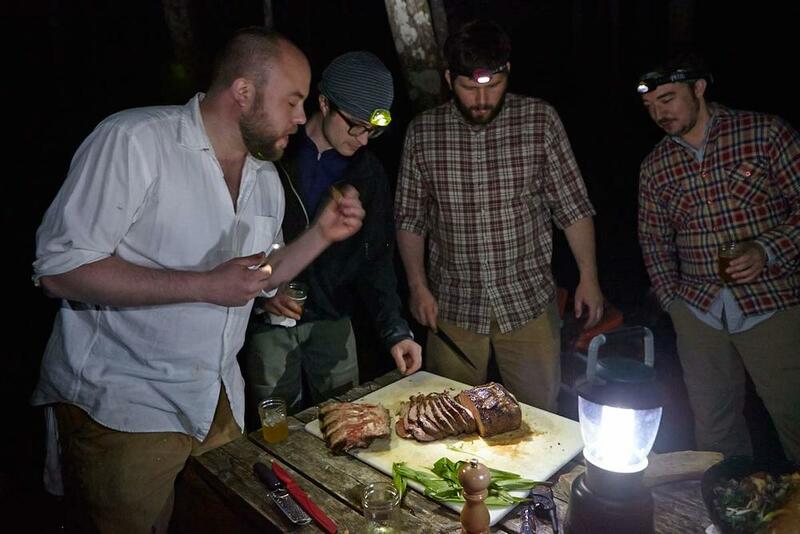 We took a crew overnight to the Berkshires, where we foraged, camped, imbibed and roasted. THE FIELDS ARE BOUNTIFUL AND GREEN, AND MORE THAN A DOZEN OF US, EQUIPPED WITH KNIVES AND BAGS, FORAGED WHAT WE COULD UNTIL THE SUN WENT DOWN. That night we set up tents, built a fire and cooked. We collectively drank some cases of Allagash House Beer, stuffed our faces, and laughed ourselves to sleep. We enjoyed a clear, warm night in the woods, under the stars, and endured each other’s snores at close quarters. 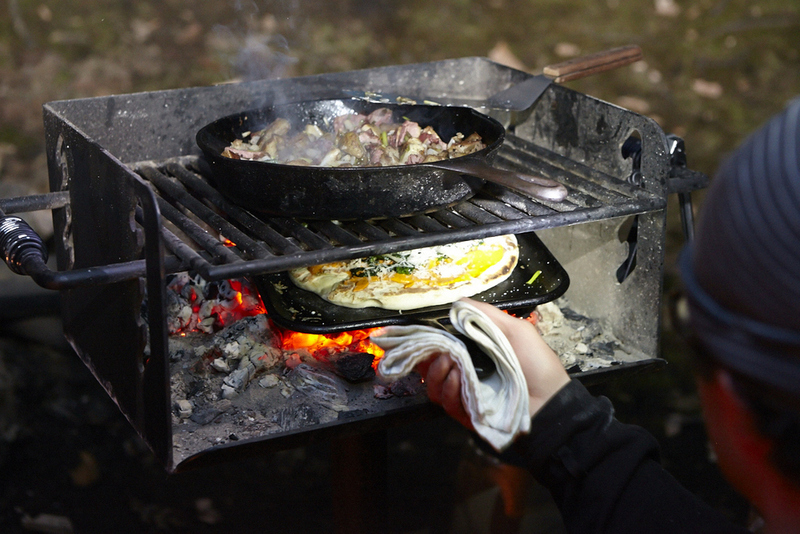 We woke up, made a fire, made breakfast and foraged again. Unlike our smelting trip earlier in the year, we were fortunate to come back with a great deal of what we'd set out for. 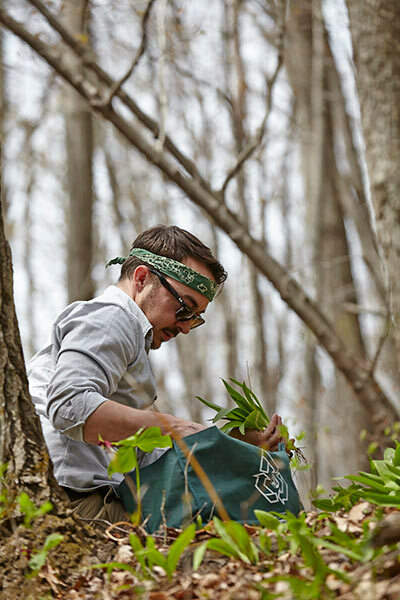 The ramps that we'd harvested, which filled cars and coolers, made their way onto our menus for weeks to come. 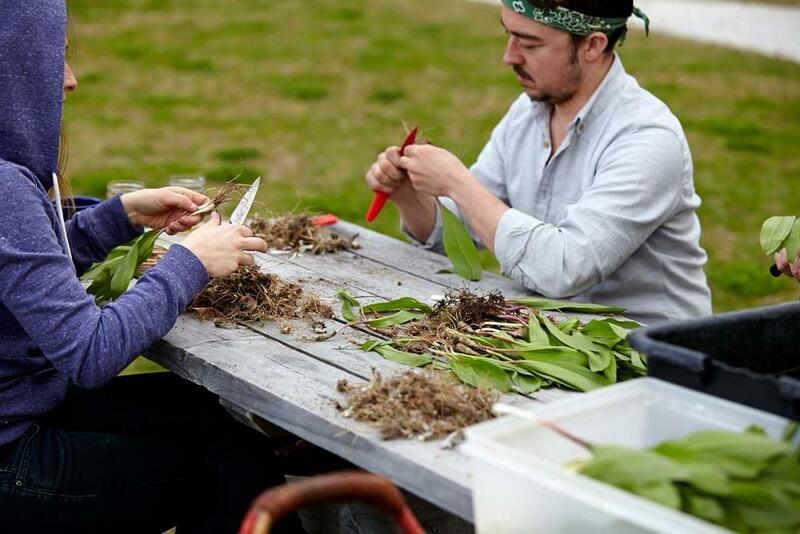 Of course, we do work with foragers and friends who help us put ramps on our plates, but we are especially fond of using any excuse to get our hands dirty in our supply chain, as it affords us the opportunity to roast meat and drink beer (brewed by our friends) in almost nauseatingly picturesque New England landscapes.